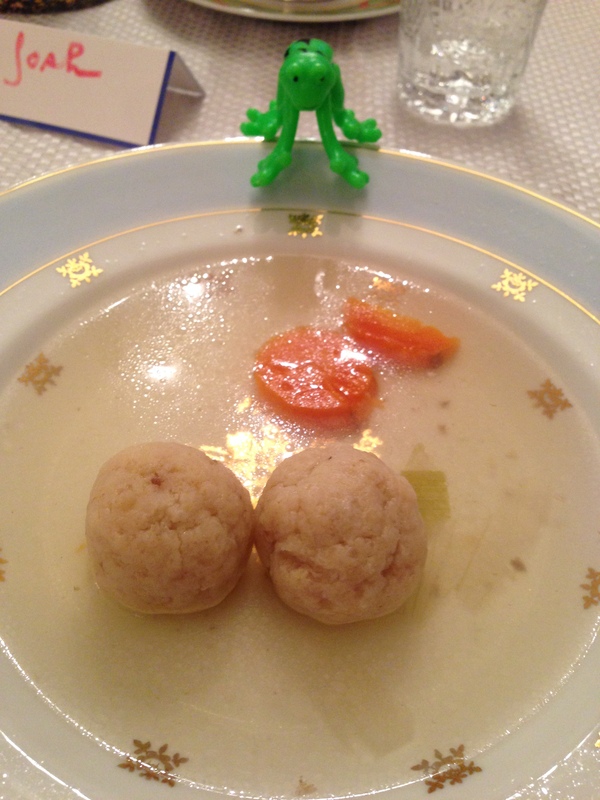 This year my folks gave the OK for me to try my hand at leading the Passover seder. I had gotten to feeling that I needed to create a seder experience for the kids that was not defined by how we had always done things. Happily a Haggadah author came by our temple not too long ago pitching his new Haggadah–includes handy seder planner for all ages!–and I invested in “A Night to Remember,” a Haggadah translated from the Israeli Hebrew version and oriented towards contemporary lefty-ish people. 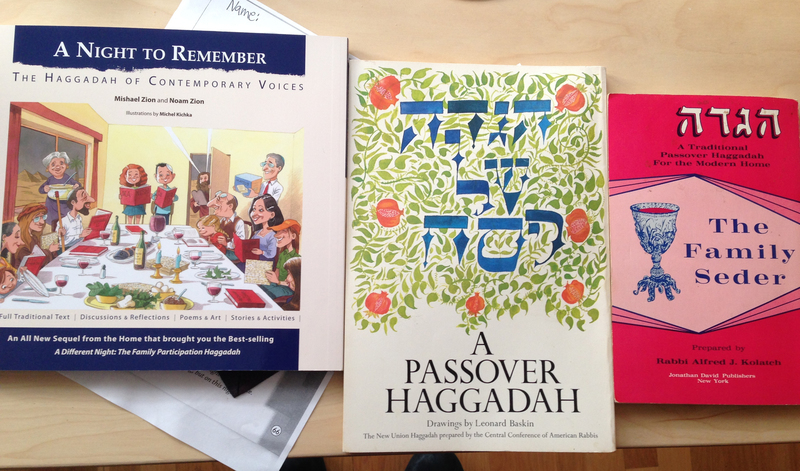 Preparing for the seder, I looked back at the Leonard Baskin Haggadah my family has used for 20+ years, and also the Rabbi Alfred Kolatch version we’d used further back in time. Pictured above you can see a certain lightening of artistic mood across the ages, and it was kind of a stunner to see a special prayer for Soviet Jewry in the Kolatch edition–essentially the only modern or social reference in the whole megillah, compared to the tons of poetry, social reflections etc. in the Night to Remember. More poignantly, seeing the notations written in the margins of who read which passage in 1985 reminded me of those we’ve lost. Another reason to get a new set of haggadot and attempt a new beginning. I think with any transition from one generation to the next there might be a certain sense of inauthenticity, of thinking that I can’t possibly be the person at the head of this table. 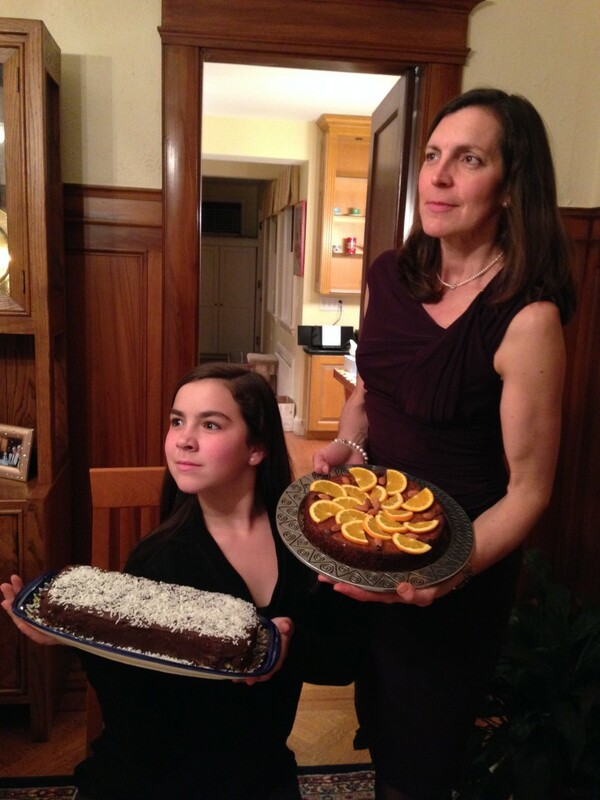 I was grateful for the support of my folks, Amy and the girls, and my cousin and her partner in trying a new approach, one with more interactive moments (i.e. the girls went out the door and did a “knock knock” in traveler’s garb to start the telling of the Exodus), and also with what Amy graciously referred to as a few gaps. Without getting into details, let’s just say that next year we may need to dip our greens four or more times to even things out. This was also a week full of reminders that, as they say, in every generation enemies have risen up to try and destroy our people. Just the night before our seder, a leading white supremacist went to the Kansas City Jewish community center complex to try and kill some Jews. And today was the one year anniversary of the Boston Marathon bombings. 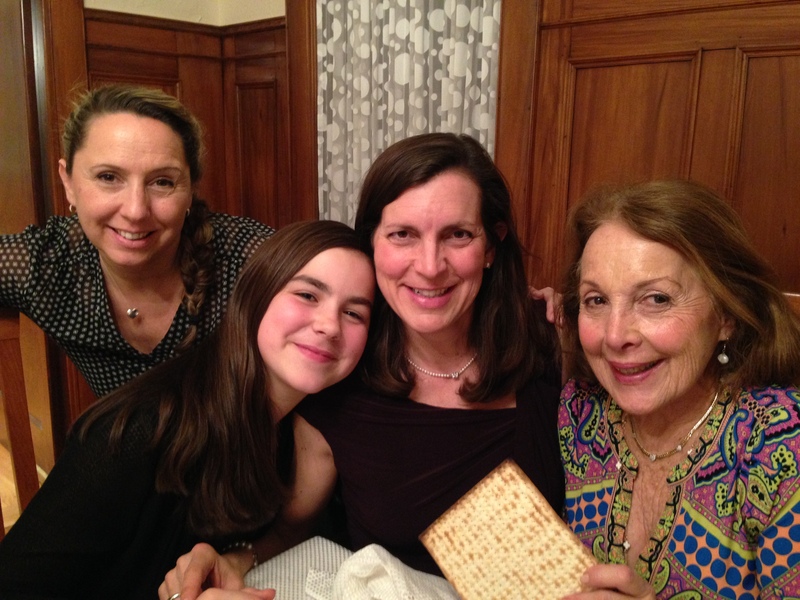 Some years the seder really feels like a celebration of freedom, and others it feels more like collectively getting through a hard time. 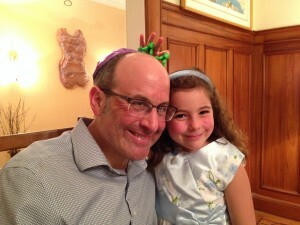 I’m reminded of the days after 9/11 when I heard of a rabbi who had told his congregants to celebrate Shabbat to spite the terrorists…there was a tinge of that for me this year. But mostly I was grateful to be able to make some baby steps towards stewarding my family’s traditions and to share in a peaceful, joyous and very filling moment together.